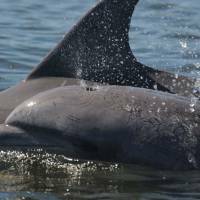 MIAMI - A state of emergency has been declared in Florida as the worst red tide in a decade blackens the ocean water, killing dolphins, sea turtles and fish at a relentless pace. 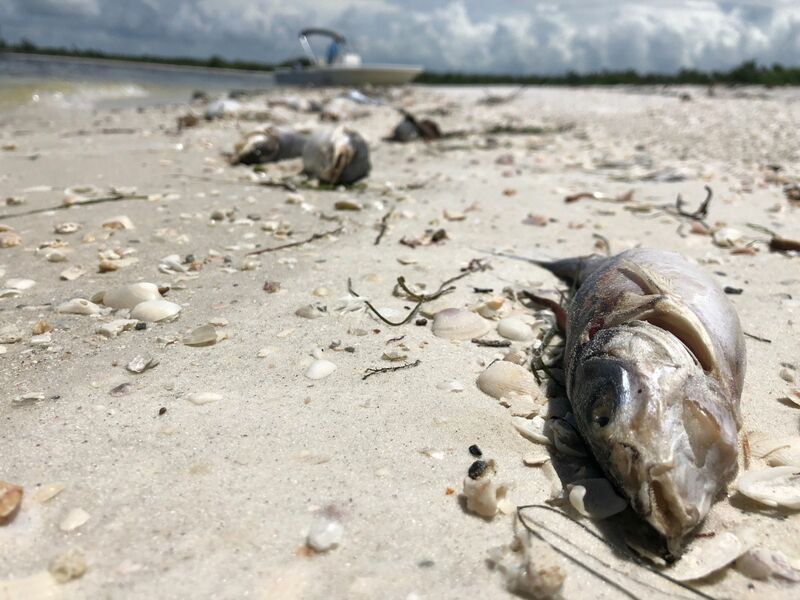 More than 100 tons of dead sea creatures have been shoveled up from smelly, deserted beaches in tourist areas along Florida’s southwest coast this month alone. 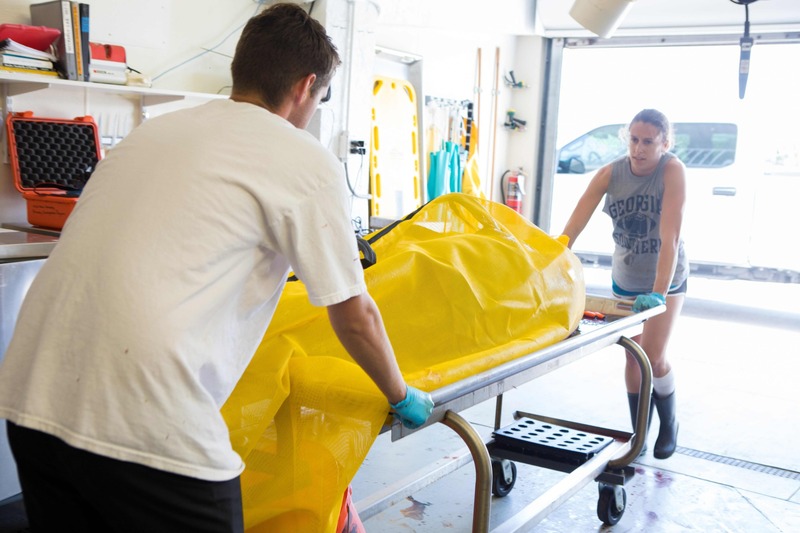 “It is physically and mentally exhausting,” said Gretchen Lovewell, who is in charge of a skeleton crew at Mote Marine Laboratory that collects dead or distressed sea turtles and marine mammals. She and two colleagues “have been literally working around the clock,” Lovewell added. 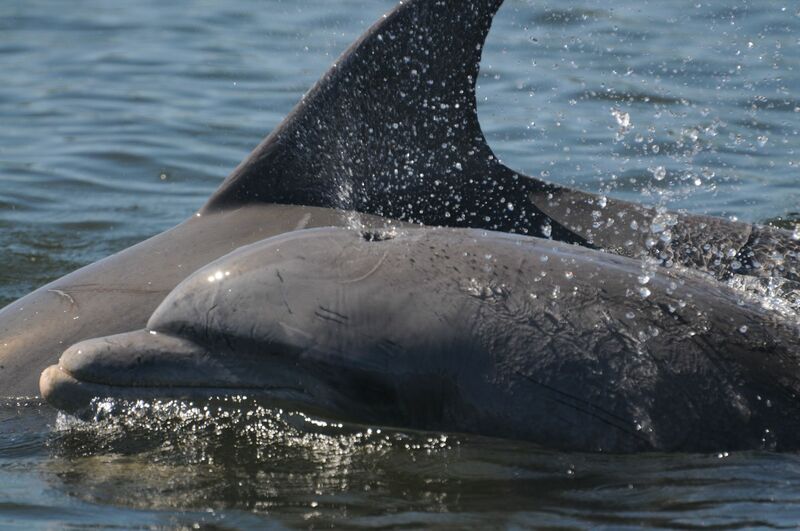 “It was devastating,” said Randall Wells, director of the Chicago Zoological Society’s Sarasota Dolphin Research Program, the world’s longest-running study of a wild dolphin population, underway since 1970. Wells pulled out a map showing where researchers have seen Speck over the years. He often swam in waters right near Wells’ own home. Researchers had also tracked Speck’s mother and grandmother before they died from swallowing fishing gear. 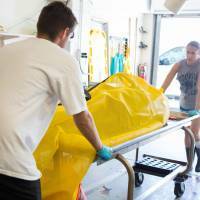 “Speck is somebody we have known from the time he was born,” said Wells, who began studying dolphins when he was 16. Red tide is suspected as the cause of Speck’s death, but researchers won’t know for certain until lab results come back in the next few weeks. “But the question now is what might we be doing to enhance it and make it stay longer?” said Richard Pierce, a senior scientist at Mote Marine Laboratory and expert in ecotoxins. Florida’s current spate of red tide began in October 2017, but grew considerably worse in recent weeks. 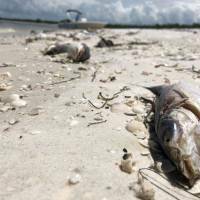 The smell of rotting fish has been a gut punch to Florida’s economy, sapping millions in revenue from fishing and tourism in peak season. “Our life is tourism here in southwest Florida,” said Omar Botana, owner of Bay Water boat rentals in Bonita Springs.